Messier 100 (also designated NGC 4321) is a grand design spiral galaxy located in the Virgo Cluster, in the constellation Coma Berenices. The galaxy lies at an approximate distance of 55 million light years from Earth and has an apparent magnitude of 10.1. 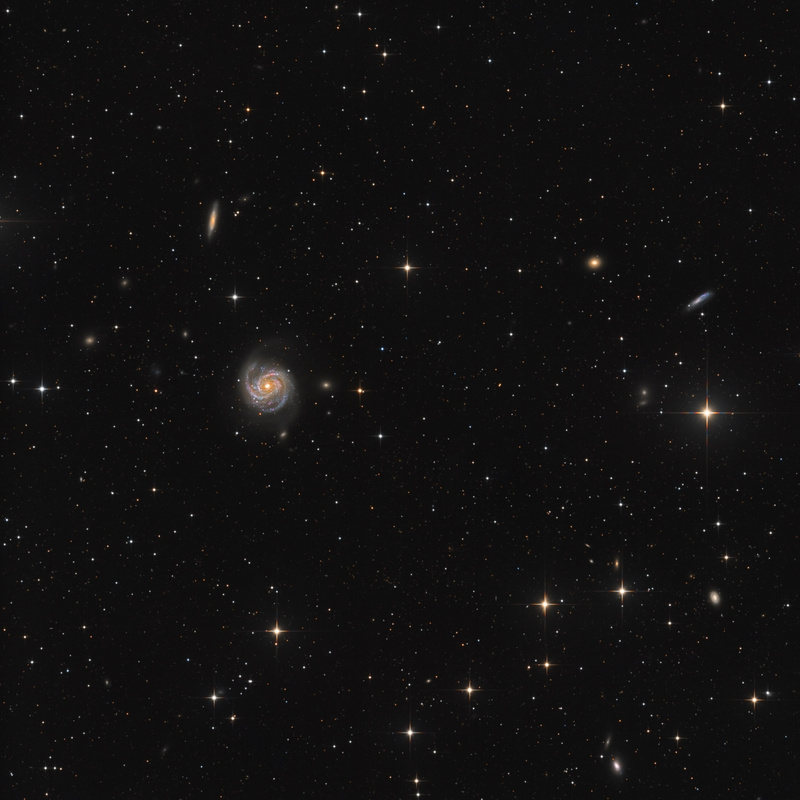 Messier 100 is a starburst galaxy, with strongest bursts of star formation concentrated within a ring in the center of the galaxy. The ring is in fact two tightly wound spiral arms connected to a ‘small’ bar with a radius of 1 kiloparsec. Star formation has been taking place in this region for at least 500 million years in several bursts. The galaxy is estimated to contain about 400 billion stars. 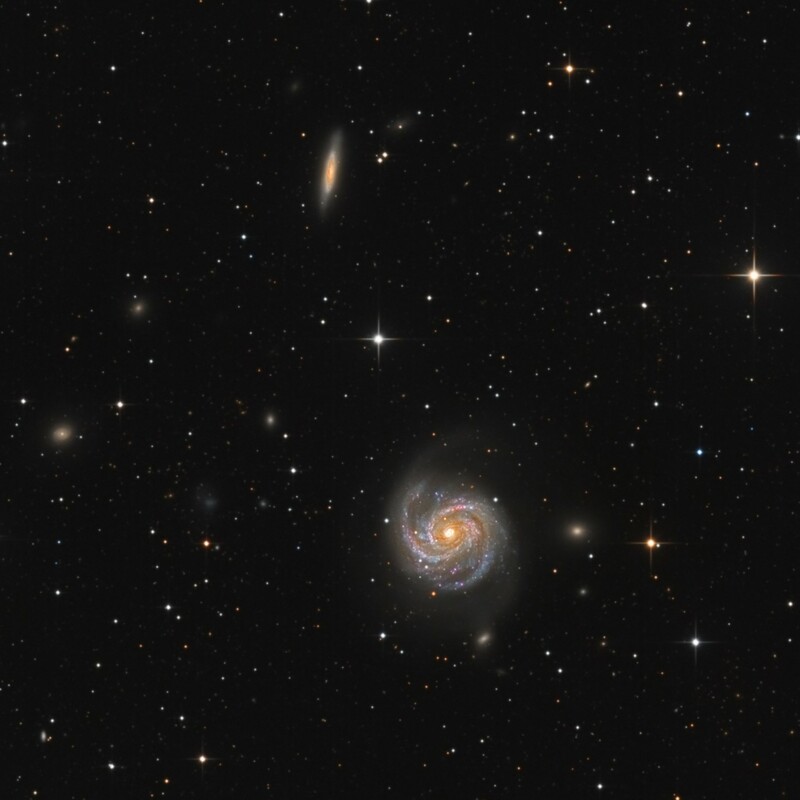 Messier 100 has two satellite galaxies – NGC 4323 and NGC 4328 – connected to M100 by a bridge of faint luminous matter.